Homemade mac & cheese, store-made mac & cheese, boxed mac & cheese, restaurant-made, you name it, I’ve had it. Does anyone else just love mac n’ cheese as much as me? It’s like comfort in a bowl. It’s the last thing I gave up before switching to veganism. Luckily, being vegan means you can still eat mac n’ cheese. Here are some delicious mac n’ cheese dishes from around NYC. This city is one of the best places for vegan eating. S’MAC is a restaurant dedicated solely to serving different types of mac n’ cheese. Yes, it’s an entire place dedicated to mac n’ cheese!I ran to this place like the first month I moved to NYC. Anyway, S’MAC is a great spot to go with friends who are not vegan, because mostly they serve dairy mac. But they happen to have a delicious vegan sauce that you can order with any mix-ins you want. I go for the vegan mac n’ cheese with garlic, tomato and basil. So good! by Chloe opened first in Manhattan and has expanded fairly quickly all over the city and even to some other states. Get the by Chloe Guac Burger with a side of mac & cheese, which is made with a sweet potato-cashew cheese sauce. The Mac & Shews at Modern Love is made with creamy red pepper cashew cheese, pecan-cornmeal crusted tofu, blackened cauliflower, sautéed kale, tomato vinaigrette and spiced pecans. 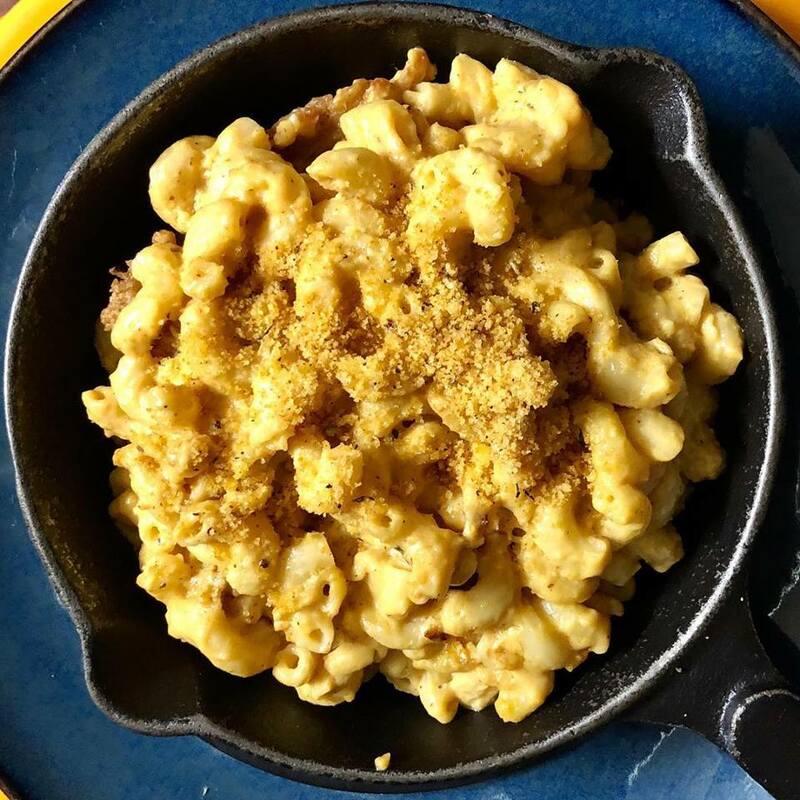 Urban Vegan Kitchen’s version of this comfort food includes cashew cheese sauce, numu mozzarella, elbow macaroni, smoked paprika and herbed bread crumb topping. You can add shiitake bacon for an additional charge. Seasoned Vegan offers a baked mac & cheese that you can order as a side item. It would pair perfectly with the restaurant’s comfort food meals such as lemon crusted “fish” steak, vegan cheeseburger or the vegan Po’ Boy. Seasoned Vegan also has a raw zucchini mac & cheese dish. 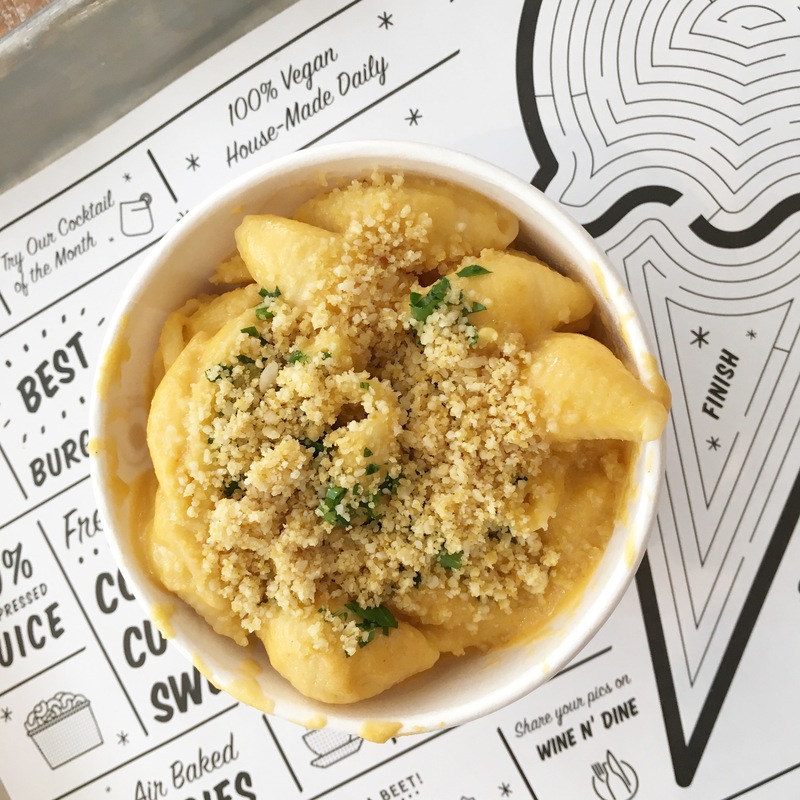 Where is your favorite place to get vegan mac & cheese? Check out these other posts about vegan mac n’ cheese. Intersectional Veganism. Vegan Recipes. Eco-Friendly Living. Inspiration. Recipes and tips to help fellow vegans survive and thrive in the South. Being vegan doesn't have to be difficult!